A commitment to aviation safety and fairness for all parties, with a passion for justice. That describes Judge William Fowler, a long-time NTSB Chief Administrative Law Judge whose career in service to the American public was nothing short of extraordinary. On Sunday, August 9, 2015, the judicial and aviation community, along with the NTSB, bid farewell to Judge William Fowler, who passed away at the age of 93. He left a long legacy and storied career of public service. I have known Judge Fowler for several decades, even before I first came to the NTSB in 1990. Judge Fowler, though not tall in stature, was most certainly a giant among men. He was humble, kind, dignified, helpful, and a gentleman, with superb judicial instincts. 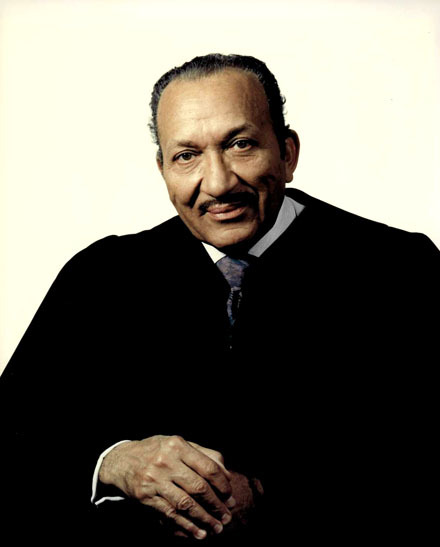 Judge Fowler knew Supreme Court Justice Thurgood Marshall, who served as an inspiration to many who have become lawyers, judges, and even chief judges. As Justice Marshall was an inspiration for so many, Judge Fowler served as an inspiration for me from the day we first met. More than a half century ago, Judge Fowler came to Washington, DC, to work for Attorney General Robert F. Kennedy as a special assistant on the Department of Justice’s organized crime task force that investigated Mafia activity. Prior to answering the call to serve for the U.S. Attorney General, Judge Fowler had already distinguished himself as the city prosecutor in his hometown, Akron, Ohio, then as Ohio’s Assistant Attorney General, and then as Chief of the Highway Division of the Ohio Attorney General’s Office. After coordinating federal efforts against organized crime, which played an instrumental role in securing 11 convictions in New York and Pennsylvania, Judge Fowler’s next career move was to federal administrative law. That included positions with the U.S. Department of Labor, Social Security Administration, and U.S. Civil Service Commission (now the Office of Personnel Management). He began at the NTSB in 1969, when he was appointed as a Hearing Examiner. He was named the NTSB Chief Administrative Law Judge (ALJ) in 1977, and he continued serving in that position, not only managing the entire ALJ office, but also presiding over thousands of cases, until he retired in May 2012, after 53 years of distinguished service to the NTSB and to the American public. In 2009, Judge Fowler was awarded the Mary C. Lawton Outstanding Government Service Award for his lifetime of excellence in administrative law. He was best known in the courtroom for his dignity and calm judicial temperament. He was not only a wonderful, caring, and thoughtful person, but he was such a great jurist that he won the respect of even those who lost their cases before him. We at the NTSB thank Judge Fowler for his humanity, justice, and service to the NTSB and to the entire aviation community. He was always, and will always be, an inspiration to me, and he set a wonderful example for the entire federal service. He will be greatly missed, but his legacy will remain forever. Are you raising your hand? 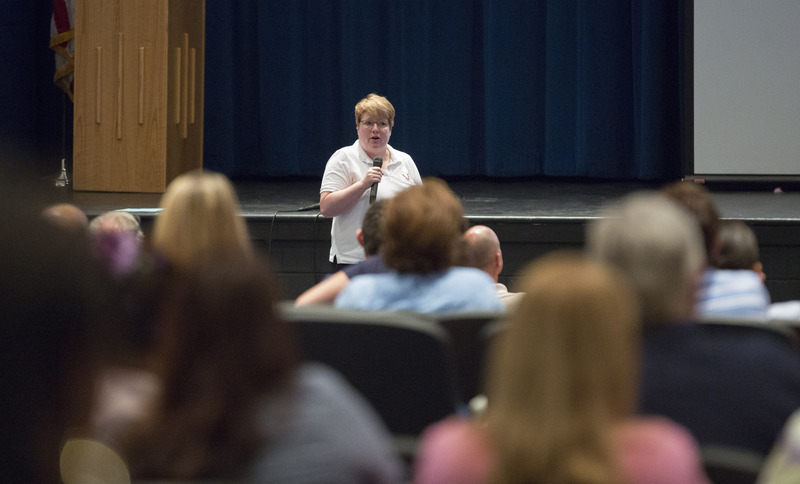 NTSB Medical Officer Dr. Mary Pat McKay speaking to Loudoun County, Virginia, school bus drivers. And neither did any of the nearly 700 Loudoun County, Virginia, school bus drivers earlier this week when NTSB Medical Officer Dr. Mary Pat McKay asked this of them. The point she was making was that most drivers believe they are fit to drive and capable of multi-tasking while driving if need be. But Dr. McKay’s message to bus drivers, who carry a most precious cargo, was that, while we think we may be ready to hit the roads, we may not always be at our best. At the county’s annual back-to-school training event for bus drivers and attendants, Dr. McKay and NTSB Safety Advocates Nicholas Worrell and Stephanie Shaw emphasized the importance of staying medically fit for duty and also reminded them about the dangers of driving distracted. Dr. McKay presented results from an NTSB study on fatally injured pilots, which showed a significant increase in positive toxicology findings for potentially impairing medications. One big surprise was the increasing use of sedating over-the-counter medicines, such as cold remedies, allergy treatments, and sleep aids. Each bus driver must ensure he or she is medically fit for work each day; this means being awake and alert and ready to perform in as safe a manner as possible, she said. This also means ensuring that a temporary illness or new medical condition—as well as the treatment of such conditions—will not impair the driver’s perception, judgment, or response time. Dr. McKay urged the drivers to discuss their important job duties with their healthcare providers, ask about the risks any new medications might pose to safe driving, and carefully read the warnings on ALL medications, regardless of whether they are prescribed or over the counter. She emphasized the importance of looking for warnings about effects like sleepiness, drowsiness, or difficulty with coordination. 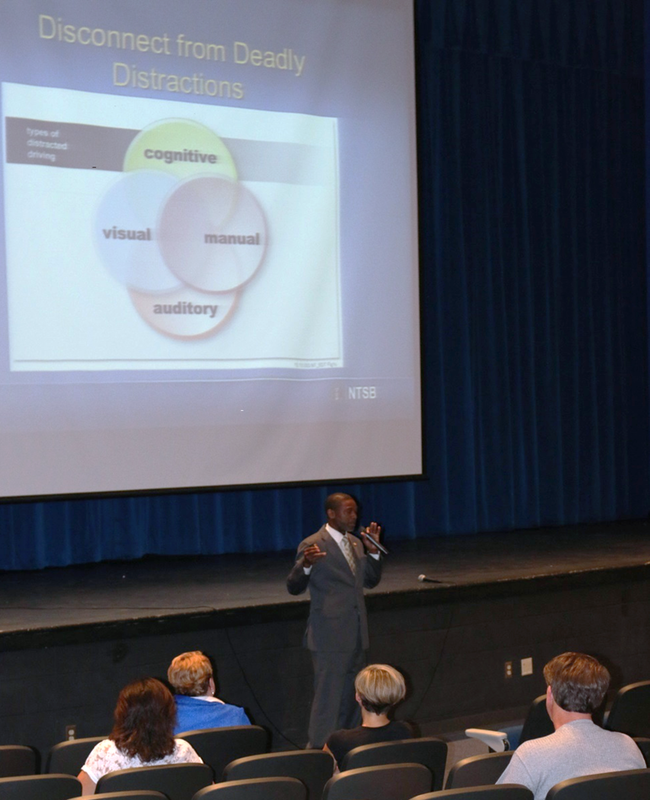 NTSB Safety Advocate Nicholas Worrell speaking to the Loudoun County, Virginia, school bus drivers. Most of these medications are not safe to take when driving a school bus, or any vehicle, for that matter—and there is often an alternative with fewer side effects. Bus drivers also must ensure they remain focused and avoid the temptation of distraction. Advocates Worrell and Shaw discussed specific highway and school bus accidents caused by distracted drivers. “Distraction does not just include portable electronic devices, and it does not go away just because you have a hands-free headset,” Worrell said. Distraction takes many forms: cognitive (your eyes are on the road but not your thoughts); manual (physically engaged in something other than driving); visual (looking elsewhere instead of where you need to be looking); and auditory (when sounds distract). School bus drivers bear a heavy responsibility and might experience any one of these types of distractions on any given day: thinking about the next stop prior to getting there, looking too long in the rearview mirror as they monitor kids for trouble, loud talking and noises, trying to discipline kids while driving. These are all potential distractions challenging school bus drivers. Despite all the challenges school bus drivers face, it’s important to note that school buses are still the safest vehicles on the roads. That’s just one of the reminders the NTSB will be bringing to Loudoun County parents and the general public next week when it hosts a press event and safety demonstrations in coordination with Loudoun County Public Schools, Youth of Virginia Speak Out, Safe Kids Fairfax County, Virginia Safe Routes to School, and the Loudon County Sheriff’s Office. Students who walk, bicycle, drive, or are driven to school also need to know how to do so as safely as possible. The NTSB message to school bus drivers is to go to work fit for duty, to operate with caution all the time, and to stay focused on the driving task. The same message can save lives in the family car. The issues of distracted driving and medical fitness for duty are on the NTSB’s 2015 Most Wanted List of safety improvements. For more information, visit Disconnect from Deadly Distractions and Require Medical Fitness for Duty. Think fast! You’re sitting on board an airline flight. In the event of a water landing, could the seat cushion you’re sitting on be used as a flotation device? The answer, surprisingly, is, it depends. 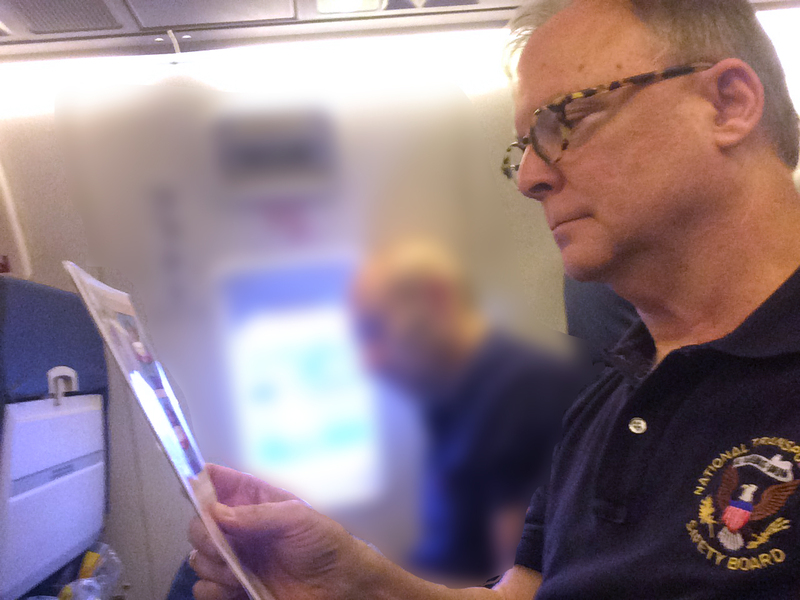 As a frequent air traveler and former airline pilot of 24 years, I always pick up the passenger safety information briefing card from the seatback pocket as soon as I buckle myself in for a flight. I suspect some may look at me a bit funny—after all, what kind of weirdo actually reads those things, anyway? I jumped from my seat and headed to the over-wing emergency exit. However, in the heat of the moment (and I do mean heat), I couldn’t recall how to open the very thing that was separating me from life or death. So, ever since then, whenever I ride on a plane, train, or bus, I make a habit of reviewing the potentially lifesaving information. Where is the closest exit? Where is the alternate exit? How will I open it? If the oxygen mask drops, how will I activate the flow of oxygen? And, back to the original question: since about half of my takeoffs and landings are from an airport surrounded by water, what will I use for a flotation device? While riding often on one major U.S. airline, I noticed that some passenger safety information briefing cards showed using the seat bottom cushion as a flotation device, but others did not—even though it was the same airline and the same type of aircraft. Curious about the difference, I asked the airline’s safety officials. The answer, as it turns out, was quite surprising. Some newer seat cushions are thinner and aren’t designed to float, and therefore, can’t be used as flotation devices. Life vests are provided in those cases. The flight attendant safety briefing and passenger safety information briefing card contain the relevant information for that particular aircraft. That’s precisely the point. No matter how experienced a traveler you may be, no matter how often you’ve ridden on a particular aircraft type, no matter how many frequent flier miles you have logged with a particular airline, things may have changed. And, can you be sure that, in the heat of the moment, you will act properly? That’s why I make it a point of reviewing these important procedures—even if it may raise some eyebrows from my seatmates. In 2000, the NTSB conducted a safety study on the evacuation of commercial airplanes. The results weren’t surprising, but nevertheless, were disappointing. The study found that a majority of airline passengers watched less than 75% of preflight safety briefings, and 68% of them never bothered to read passenger safety information briefing cards. The next time a flight attendant asks for your attention as your plane backs away from the gate, put down your magazine, remove your ear buds, and listen. And, look over the passenger briefing card. Those three minutes might just save your life. Robert L. Sumwalt has been a Member of the NTSB since 2006. He is a frequent contributor to the blog. Over the next few weeks, nearly 50 million children will head back to school; more than 20 million of those students, including my daughter, will ride on a school bus. When I talk about how to safely transport children to and from school, and more specifically about school bus safety, one of the first questions I am asked is “Why aren’t school buses required to have seat belts?” The answer isn’t simple, but I’ll explore it below. First, let me convey something that is simple: school buses, with or without seat belts, are the safest way to go to and from school! Your child is safer riding in a school bus, even without seat belts, than any other way to get to school, including your own car. Every year, more than 30,000 people are killed on the nation’s roadways. In fact, motor vehicle crashes are the leading cause of death for school-age children. Each year approximately 800 school-age children are killed in motor vehicle crashes during normal school travel hours (September 1 through June 15, Monday through Friday, 6:00 a.m. to 8:59 a.m. and 2:00 p.m. to 4:59 p.m.) The numbers are worst for teenagers driving themselves to and from school, who are at the highest risk of injury or fatality. The risk for teen drivers is about eight times higher than the risk for teens driven by adults. Which children are safest? The ones on the school buses. Of those 800 school-age children killed in motor vehicle crashes per year, only 20 – or 2 percent – were school-bus related. Five were passengers on a school bus, and 15 were pedestrians approaching or leaving the bus. The other 98 percent were children riding bicycles or motorcycles, or riding in or struck by passenger vehicles. 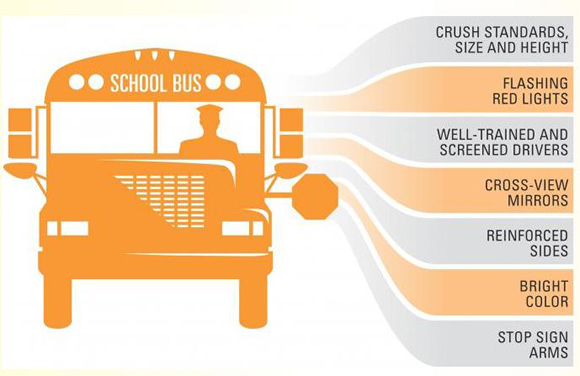 School buses have the lowest injury and fatality rates of all motor vehicles. I understand why I am so often asked the question about school buses and seat belts. It’s natural for us, as parents, to question what appears to be a glaring safety gap. We are taught from the moment we bring our children home from the hospital that we need to have them properly restrained in a child safety seat, and a booster seat as they grow older, and we constantly hear the message that all of us need to be buckled up on every trip. The answer regarding school buses is that the regulators and manufacturers have pursued a holistic total protection approach, rather than just focusing on seat belts. To understand how this came to be, some history about school bus safety might be helpful. Back in 1977, school buses were redesigned because they weren’t protecting students as well as they should. As for the protection that we normally associate with seat belts, regulations called for a design that was known as “compartmentalization” because seat belts were not widely worn in 1977. Compartmentalization requires closely spaced, energy-absorbing, high-backed, padded seats which absorb crash forces and provide the protection needed during a front or rear-impact crash. And, as the statistics show, compartmentalization works in those types of crashes. Experience has shown that seat belts are an important complement to compartmentalization in side impact and rollover crashes, but experience has also shown that side impact and rollover crashes are very rare. Other new rules were passed as well. Some of these rules required a stronger roof to protect students in a rollover and a stronger structure to ensure safety during the most severe crashes. Others focused on the stop-arms, the bright (yellow) color, the exterior lights, and the rules for other motorists driving near the bus. The fact that students sit high above the ground in a school bus is also an added safety benefit. Given the success of this holistic approach in school buses, we have not recommended seat belts, but we have pushed for continuing to explore more holistic remedies to protect the students. Taken together, school buses are now required to meet more federal regulations than any other vehicle on the road. Remember, with or without seat belts, children and teenagers are safest riding to and from school in the school bus. Have your child ride the school bus and know that they are going to and from school in the safest way possible. On July 22, UPS announced it would make collision avoidance systems (CAS) standard equipment on all new class 8 tractors it orders, including the more than 2,600 new tractors it will acquire in 2015. Class 8 vehicles are those with a gross vehicle weight rating over 33,000 pounds, such as most tractor-trailers and dump trucks—typically vehicles with three or more axles. In its announcement, UPS cited the NTSB’s Special Investigation Report, The Use of Forward Collision Avoidance Systems to Prevent and Mitigate Rear-End Crashes. In our report, we discussed how more than 80 percent of deaths and injuries from rear-end crashes might have been mitigated had vehicles been equipped with a collision avoidance system. A Safety Alert urging consumers and fleet owners to consider transitioning their fleets to vehicles equipped with collision warning and autonomous emergency braking (AEB) also accompanied the report’s release. UPS’s decision to equip its fleet with CAS is part of a growing trend, as companies recognize the safety benefits associated with these systems. For example, Walmart, Conway, and Quickway Transportation have their entire fleet already equipped with CAS or are purchasing truck-tractors with the latest generation of forward CAS. The NTSB has called for technological approaches to address rear-end collisions since 1995, and although some progress has been made, far too many rear-end crashes still occur. For example, in 2012 alone, more than 1.7 million rear-end crashes occurred on our nation’s highways, resulting in more than 1,700 fatalities and 500,000 injured people. Many of these crashes could have been mitigated, or possibly even prevented, with forward CAS. Forward CAS works by monitoring the environment—either via lidar (light detection and ranging), radar, camera, or a fusion of different technologies—for potential conflicts, such as a slow moving or stopped vehicle. When it detects a conflict, it alerts a driver through different warning cues. If the conflict persists, the system initiates AEB or provides additional braking force if the driver does not brake strongly enough. The benefits of forward CAS are considerable for large trucks; however, according to one industry estimate, only 8–10 percent of truck-tractors in the United States in 2013 were equipped with these systems. Based on the available research evidence and testing that support the benefits of forward CAS, we have recommended that passenger vehicle, truck-tractor, motorcoach, and single-unit truck manufacturers install forward CAS that include, at a minimum, a forward collision warning component, as standard equipment on all new vehicles. And once performance standards for autonomous emergency braking are complete, those systems should also be included as standard equipment. Forward CAS systems are currently available as options on many cars and trucks. 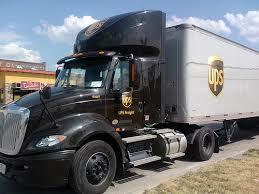 We applaud UPS and the other companies I mentioned for installing these live-saving systems. More carriers should follow suit. Jana Price, PhD, is Chief of the Report Development Division in NTSB’s Office of Highway Safety.